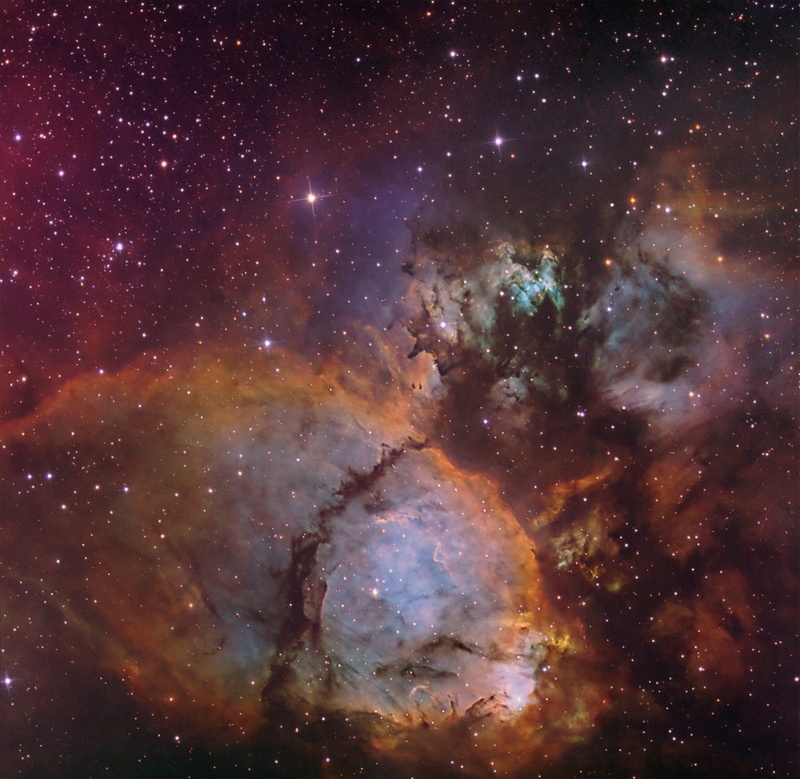 IC 1795 is an extnesion of the larger Heart Nebula, IC 1805, in Cassiopeia at RA 2 hr 26.5 min and DEC +62 deg 4 min,with an apparent diameter of 20 arc min. This is a narrowband image using the Hubble Palette for color mapping, where blue = OIII, green – H-a and red = SII. Red, green and blue data were also blended in for star colors.